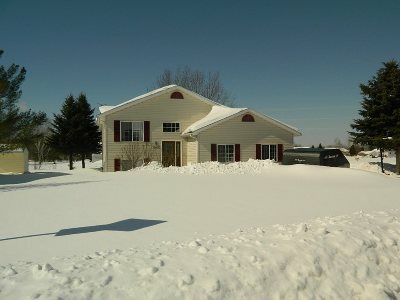 Very well maintained 4 bed 2 bath home features open concept, vaulted ceilings, large deck off the great room, large lower level family room with work out area. Recently updated the kitchen with new quartz counter tops, new sink, faucet and all new stainless appliances. Almost all the flooring in the home has been upgraded including the new waterproof wood grained laminate in the kitchen and dinging area. Furnace and water heater are also new.